Safety should be the top priority for drivers when hitting the road. During the rainy season, when roads are slippery and drivers are more prone to accidents, extra caution needs to be exercised. The rainy season can cause a lot of adversity for drivers.Rainfall can easily obscure the driver’s vision, affecting his ability to drive safe. More than the wet roads, floods can cause serious damages to your car. It is more advisable to keep off the road when there is heavy downpour. However, if the need to drive out is inevitable, here are some tips to follow to lessen the risks of damaging your car or getting into accidents. Leave a margin for error for the car in front of you. That way, if the car stops or slows down, you will not bump into them. This is imperative especially when your vision is obscured by heavy rainfall. To avoid slipping on the road, slow down to as slow as 35 mph. Your speed should depend on how slippery the roads are. Lessened speed also allows for easier turning and stopping. Additionally, slower speed helps you to avoid hydroplaning. Hydroplaning is when a layer of water builds between the wheels of the vehicle and the road surface. This leads to a loss of grip and can make the driver lose control. Using your headlights will not only help you see the road, but will also allow incoming cars to see you. Make sure your headlights are working properly and the intensity of the light is bright enough. Turn on both your front and back lights even if it is midday for better visibility. If your visibility does not improve even with your lights on, it is best to stay at home. Most of the flood water accumulates near the sidewalk. To avoid driving through puddles, stay in the middle lanes. This also lessens the risk of colliding into the sidewalk or splashing water on the pedestrians. When it is raining, your wipers will surely be turned on, non stop. Make sure that your windshield and wipers are in good condition to brave the rain. If they’re old and worn out, take the time to replace them before driving if you can. Your tires are designed to grip the road and not slide on them, especially when the road is slippery. Make sure your tires are not worn out. Since the road is slippery, there are times when you need to make an abrupt stop. This is where brakes come in handy. Your brakes have to be snappy. Make sure they are working properly to help you avert any unforeseen accidents on the road. 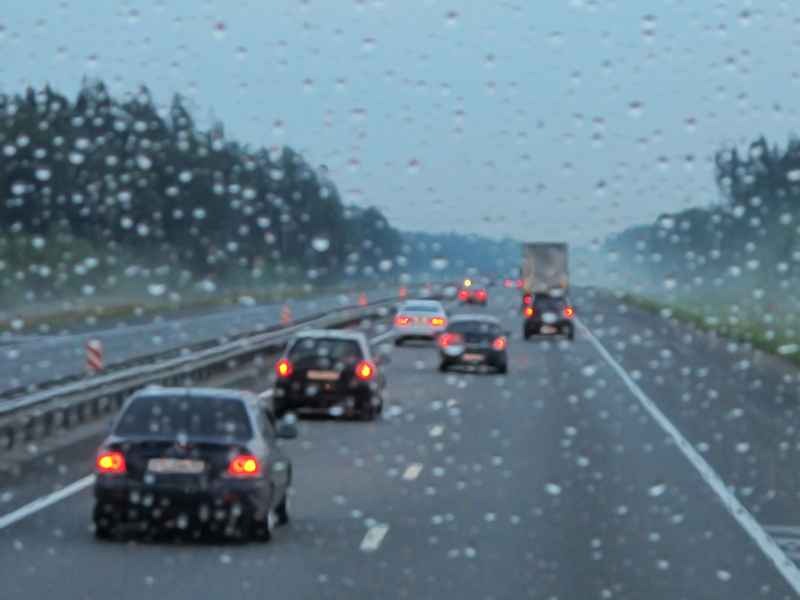 Driving in the rain is a difficult task that must be done with extra care. Aside from preparing your car, you yourself should be vigilant and aware of everything that is happening on the road. Road and vehicle safety is something every driver and car owner should take seriously. To avoid further danger, make sure your vehicle is covered by a comprehensive auto insurance you can rely on in case of emergencies. MAPFRE Insular is one of the most reliable insurance companies that offers insurance services for cars and many more. To know more about them and what they offer, visit their website, https://www.mapfre.com.ph/insurance-ph/personal/car-insurance/.